Throughout the eighteenth century, successive British ambassadors to the Ottoman Empire rented the same house in Constantinople from the Timoni family near the top of the hill in Pera, an aristocratic suburb on the north side of the Golden Horn. By 1799, when Thomas Bruce, seventh earl of Elgin, arrived as ambassador, this house was too decrepit to be habitable. Elgin therefore set about procuring a suitable embassy house for the future. His efforts led to the British government’s first purpose-built diplomatic building. In a long dispatch in November 1801, Elgin described the requirements that he thought the British government should meet. These included allotting an annual sum for the houses’s upkeep and repairs, providing good and substantial furniture, including for the chapel, and a service of plate, royal pictures and a set of full liveries. By January 1802, Balestra had advanced the designs for the new palace, the old Timoni buildings on the site were being demolished, and materials for the new house collected. Elgin submitted to London a long and varied list of the items to be procured from England. The foundation stone was laid on 18 January 1802 at a ceremony with a huge Turkish official attendance. Elgin reported the Captain Pasha, admiral of the fleet, saying ‘that it was not in the power of language to convey an adequate idea of the obligations Great Britain had rendered to Turkey’, and then releasing over 150 Maltese slaves to British protection. 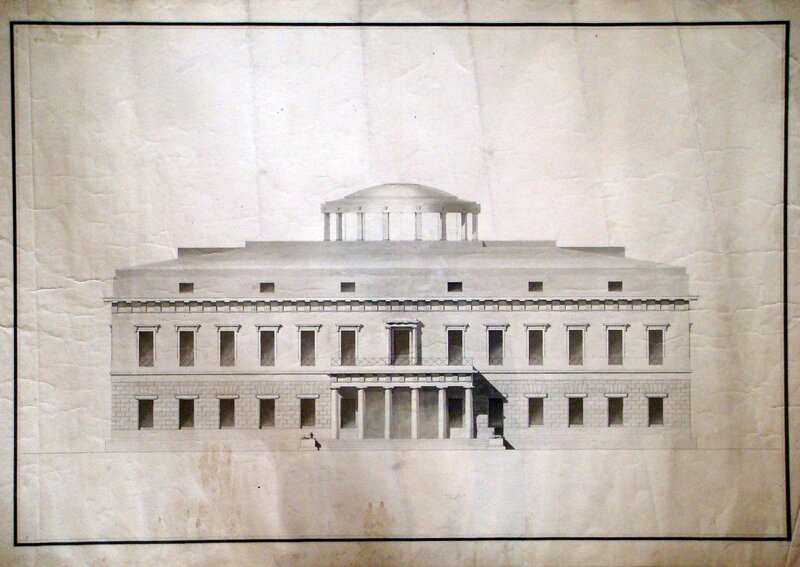 The shell and roof of the large new building were nearly complete when Elgin left Constantinople in January 1803. But construction and financial problems, disquiet in London about profligacy, and a year-long suspension of Anglo-Ottoman diplomatic relations caused so many delays that the palace was not completed until 1808. A widespread fire in April 1810 damaged some of the outbuildings but spared the palace itself. A much greater disaster struck in 1831. The ambassador, Sir Robert Gordon, gave a grand fête on the Giant’s Mountain on 2 August that year, and all the domestic staff had left the palace to attend. The Rev. Robert Walsh, obliged to attend a funeral on that day, remained at Pera. When he first saw the fire, it was consuming just a few houses down the hill about half a mile from the embassy but, when he returned from the funeral, he found the fire had arrived at the palace-gate. The fire ‘came on roaring like a vast furnace, and enveloped us all in a dark and lurid-looking flame. When the obscurity dispersed all the trees of the garden and the edifice itself burst into a vast and sudden blaze’. Later ‘the flames were now roaring out of the windows, and having no hope of being able to render any service in this way, I hastily left the palace to look after an object [his daughter] even more precious to me than the archives of an empire. I had scarcely found her, terrified and alone, when the roof of the palace fell in with a crash. A vast column of smoke and flame ascended from the centre, and in twenty minutes from the time the fire seized it, the noble palace was no more’. Four months later, John Henry Mandeville, the acting minister, reported to Palmerston that the title deeds to the embassy house were burned in the fire but he had recently received re-confirmation from the sultan that the land was British property. Mandeville thought that the foundations of the palace, on which Lord Elgin had spent so much of his financial allocation, were perfectly good. Sir John Ponsonby arrived in Constantinople as ambassador in 1832 and chose to live on the Bosphorus at Therapia in the summer residence that the sultan had made available to the embassy in 1829 and into which Gordon had moved after the Pera fire. 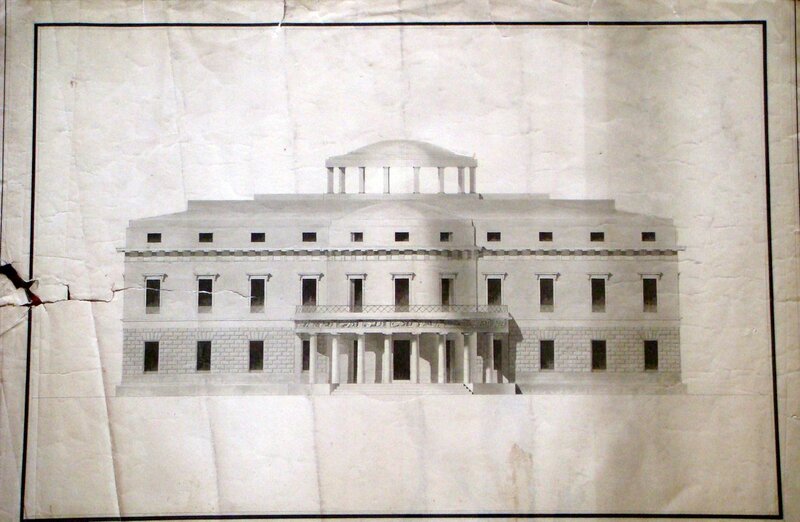 Plans and estimates by Signor Peverata, the embassy’s local architect, for rebuilding the embassy house at Pera were sent to the Treasury in early 1833, but were not followed up and Peverata died soon afterwards. Ponsonby was comfortable at Therapia and had no inclination to hasten rebuilding at Pera. But the Treasury and Palmerston were looking further ahead and, in March 1834, dispatched to Constantinople an officer of the Royal Engineers, Captain Harry D Jones, to prepare plans and estimates for each of three options. These were to rebuild on the same site at Pera; to build anew on a site close to Pera, funded by the proceeds of selling the Pera site; and similarly on a site at Therapia, to be designated by Lord Ponsonby. Jones reported later in 1834 that he had been unable to find a suitable site to buy in the immediate neighbourhood of Pera, and so had only pursued the other two options. Jones’ main concern, however, was that it was impossible to make reliable estimates in the local circumstances of despotism and corruption. He therefore recommended using direct labour, with the British government ordering materials and supervising construction, in preference to letting contracts. He submitted the best estimates that he could manage in the circumstances: about £22,500 for a new house on the former site at Pera, and £21,750, excluding the cost of land, on a new site at Therapia. London preferred the Pera option and Jones was sent back to Constantinople at the end of 1834 to develop his plans further, update his estimate, and consider how supervision would be managed. He found himself with no option but to increase his estimate for re-building to about £35,000. The Treasury decided this was too much to submit to Parliament for approval, and Jones was recalled. Ponsonby was meanwhile objecting to any new building but failing to specify his reasons, despite repeated requests for them from Palmerston. Six years later, Palmerston’s patience snapped and in June 1841, he wrote to the Treasury, during a diplomatic crisis with the Turks, demanding that action be taken to house the ambassador again within easy reach of the Sultan’s ministers, and that the Office of Works should send ‘some competent Architect’ to make necessary rebuilding arrangements. 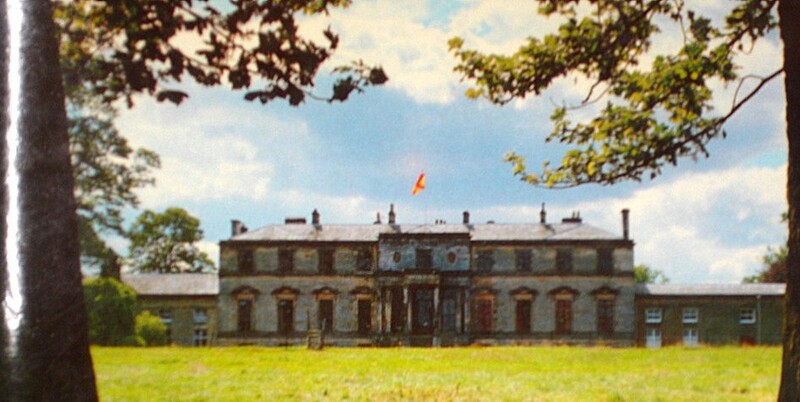 Elgin used his home at Broomhall, Fife, as a model for the embassy building. Balestra’s design for the entrance front, 1801. Balestra’s design for the garden front, 1801. 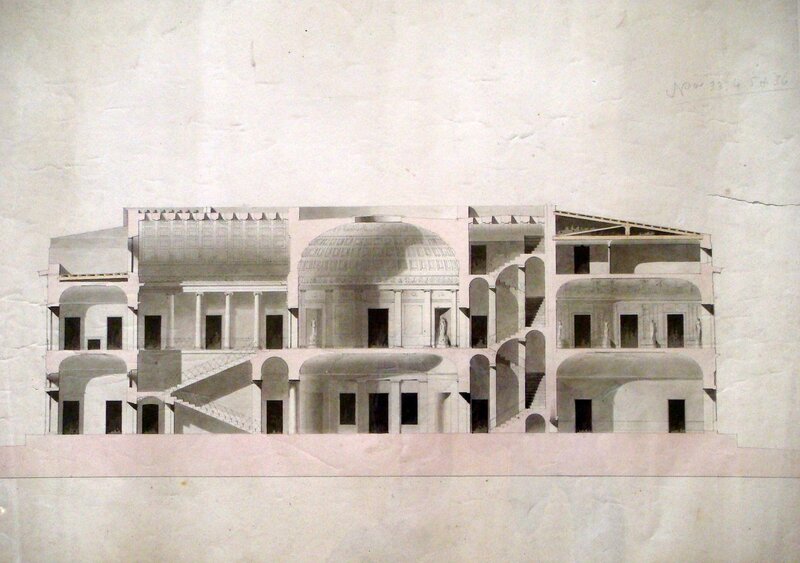 Longitudinal section of Balestra’s design for the embassy building,1801. 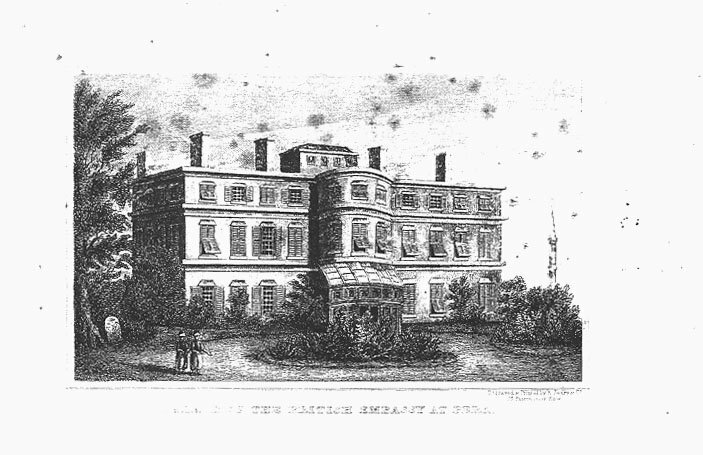 The completed ‘English Palace’ in the early nineteenth century. 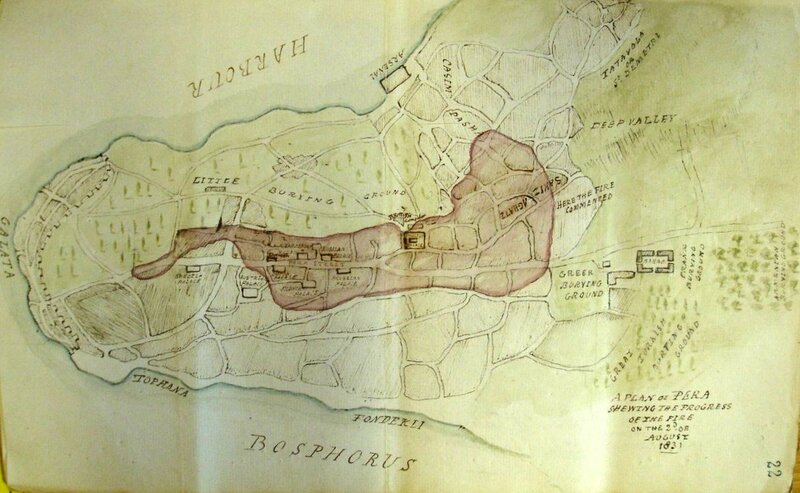 The extent of the fire of 2 August 1831 in Constantinople.